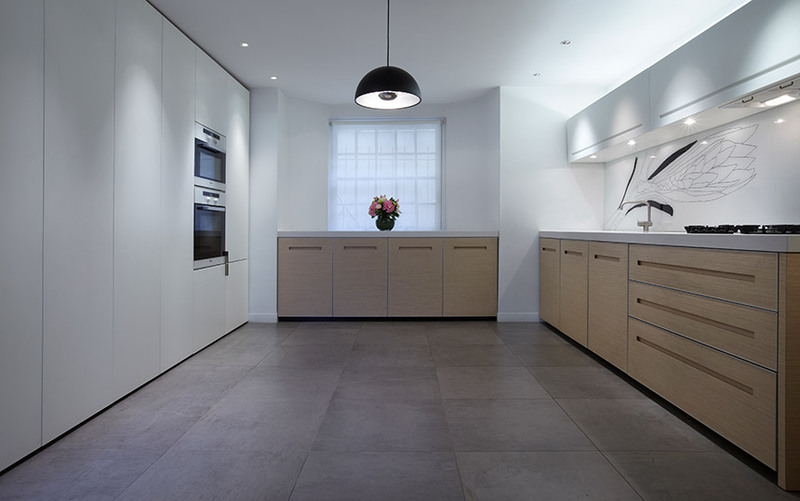 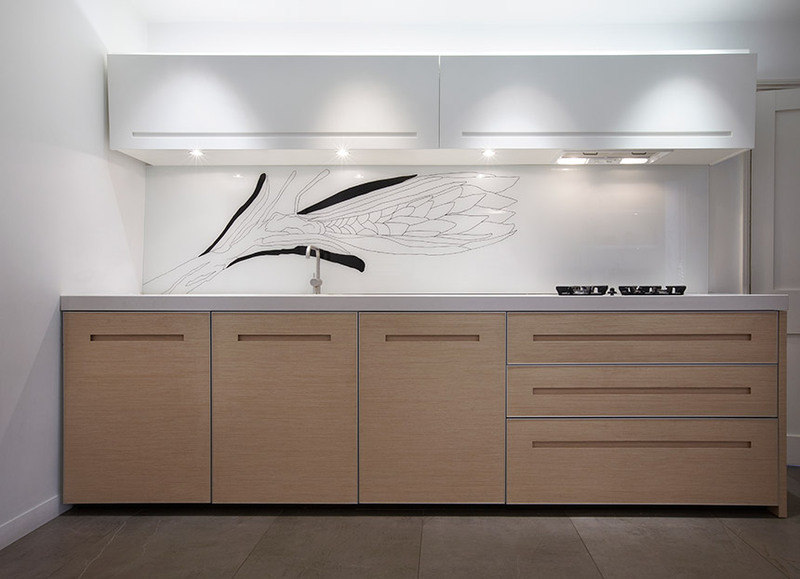 This kitchen was designed to incorporate a table in the centre of the room (not shown). 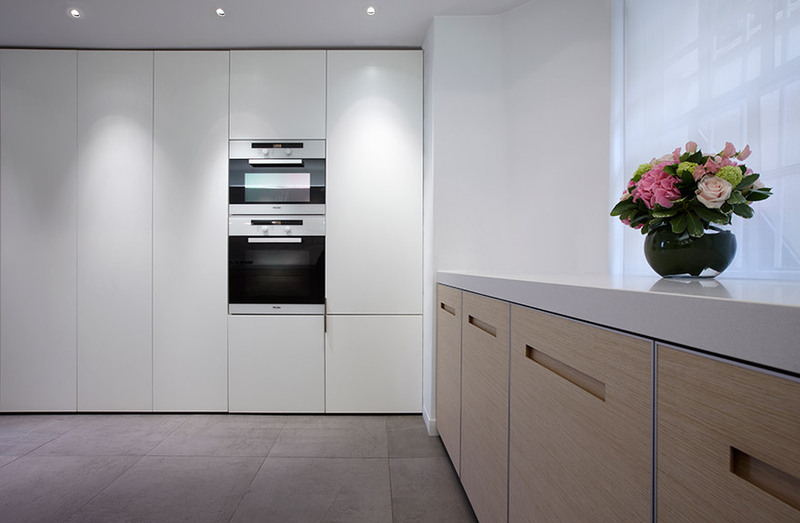 As the tall cupboards had to be built around an existing chimney breast, a combination of shallow and full depth cupboards was built. 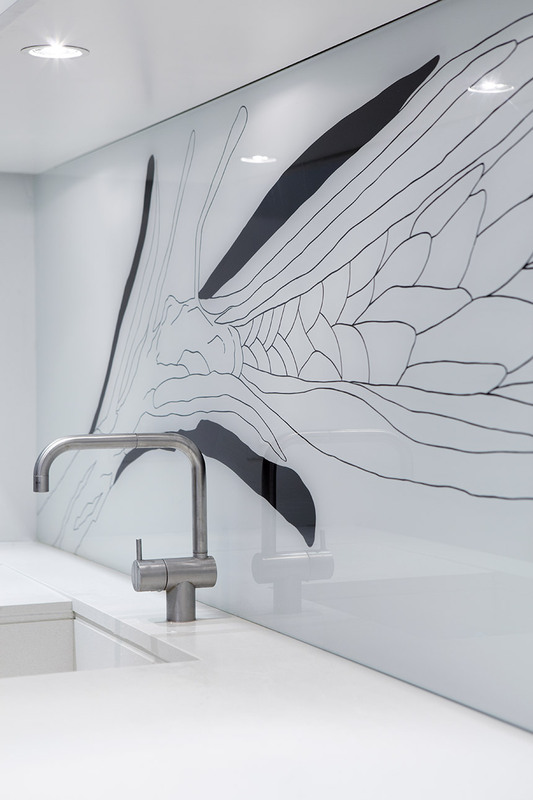 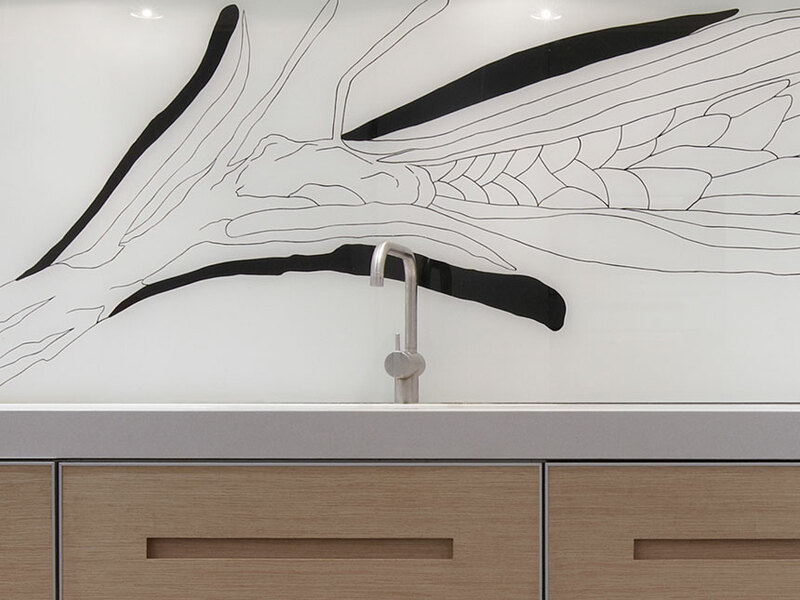 A bespoke painted glass splash back was created to add interest.